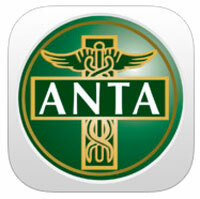 BodyTalk Access & Fundamentals approved for ANTA in Australia. Printed from http://www.bodytalksystem.com//learn/news/article.cfm?id=884 on Apr 22, 2019. The IBA is excited to announce that BodyTalk Access & Fundamentals have been approved for Continuing Professional Education for members of the Australian Natural Therapists Association. After the IBA applied for CPE approval, ANTA responded "The BodyTalk courses we believe provide quality learning opportunities for ANTA members." The Australian Natural Therapists Association Limited (ANTA) is the largest national democratic association of 'recognized professional' traditional medicine and natural therapy [Complimentary Medicine] practitioners who work in the areas of health care and preventative medicine.